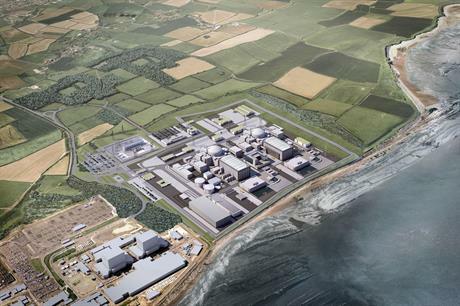 UK: The government has given its approval to the £18 billion (€21 billion) 3.2GW Hinkley Point C nuclear power plant in the UK, following a review of the project. The UK's business, energy and industrial strategy department (BEIS) has reached a revised deal with French developer EDF, giving it more control over the project. Under the revised deal, the UK government can prevent the sale of a controlling stake in the project until construction has been completed, and it can also intervene in any sale of EDF's stake after the plant in Somerset, south-west England, is built. The government will also introduce a new legal framework, to be applicable to future critical infrastructure in the UK. "After Hinkley, the British government will take a special share in all future nuclear new build projects. This will ensure that significant stakes cannot be sold without the government's knowledge or consent," the government said. Chinese firm China General Nuclear (CGN) owns a 33% stake in the project. The energy minister, Greg Clark, is set to direct the Low Carbon Contracts Company, which administers the UK contracts for difference (CfD) on behalf of the government, to offer EDF a CfD for the power produced at Hinkley at a guaranteed cost of £92.50/MWh over a 35-year contract. "Big, tough decisions that benefit future generations and balance multiple needs are, and should be, hard to make — but that is precisely the role of government. It is absolutely right and proper that the government has taken a final opportunity to validate the deal arrangements, security and governance structures. After ten years of preparation and deliberation, it is now time to deliver," said Ernst & Young head of power and utilities Tony Ward. "While technologies such as solar, wind and batteries will also be hugely important in delivering the UK's future energy mix, new nuclear, starting with Hinkley Point, has a crucial role to play in displacing our reliance on fossil fuels," Ward added. The new government, led by prime minister Theresa May, delayed the project further in July. EDF's board members had given its approval to the project, but May put the brakes on the go-ahead, wanting to take a closer look at the deal. Renewables' supporters had made the case that wind and solar could provide the necessary capacity much quicker and cheaper than the new reactor would. EDF said it expects first power to come from the new plant in 2025, but many commentators expect it to be later. "Today's decision hasn't been made on the cold, hard facts that show Hinkley will not deliver competitively priced, low carbon energy any time soon. Instead it seems that Hinkley became too big to fail. The potential for political embarrassment for the new prime minister was too high," Greenpeace executive director John Sauven said.